Now that we stand on the brink of the fourth technological revolution. A revolution that is fundamentally altering the way we live, work, and relate to one another. More than 30 percent of the global population now uses social media platforms to connect, learn, and share information. With the digital revolution and social media, we have the possibility to connect to billions of people. These interactions provide an opportunity for people to market their services and increase their sales online. Facebook will help you increase the exposure of your business on Social Media. Using Facebook you can reach out to all of the people who matter most to your business. These fundamentals will set you up for success and help you meet your business goals. If you're looking for a general overview of how to increase online sales using Facebook and grow your business. You want to make sure to follow the following 6 tips. 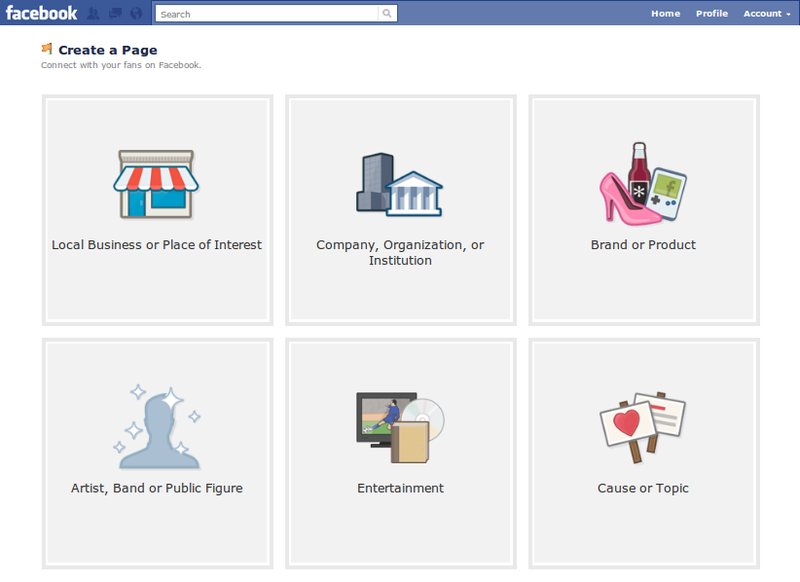 The starting point for growing your business on Facebook is to create a business page. You want to make sure that people will find you when they search for you. The page will help you reach out to people interested in your business. Your page will be the bridge between you and your customers. You will be able to reach out to them frequently, engage with them, and share your updates. Moreover, analytics on your Page will give you a deeper understanding of your customers and your marketing activities. 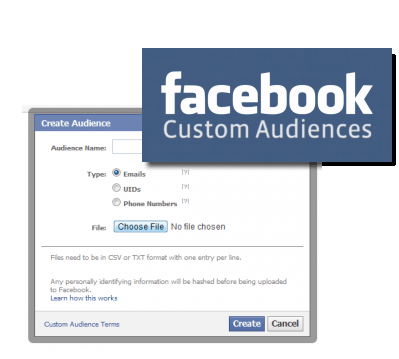 What are Facebook Custom Audiences? Custom Audiences are lists of people who are already your current or past customers, or users. Custom Audiences is a powerful service that lets y ou upload your existing customer contacts in a secure and safe way. You can create a .CSV or .txt file that contains the list of Facebook UIDs or emails, or phone numbers and upload it. The information will be encrypted to protect customer relationships. Furthermore, to get more insight about your customers you can use Facebook Audience Insights. You can learn more about their interests, activities, behaviors, styles, demographic information etc. Those insights will help you determine which of these people are more apt to be your potential customers, the ads you need to create to advertise your products and attract them. Facebook has an algorithm that balances out personal versus commercial content on the users’ News Feed. No matter how much planned and forward thinking your Facebook strategy may be, there is still a big chance that your posts will not be seen by your audience, since the various social and personal posts will appear higher on the user’s news feed. Boosting your Posts will give your posts a chance to be seen by the users. So what is Boosted Posts? A boosted Post is a post from your business page that for a fee can appear higher on the News Feeds of the people like your Page, as well as that of their friends. It will somehow guarantee you that your posts will not get lost. The fee depends on how many people you want the post to reach, and the number of impressions the post gets with time. Now that you created the list of your audience, how can you make the most out of it? If someone accessed your page added items to a cart, that means that this person is already interested enough to visit your page, so maybe creating a discount ad could help you turn out this lead into a customer, or better yet maybe this customer will bring more potential leads from his friends in exchange for a discount. If you have some great news about your products or services, then share it with your audience. To make sure you are using Facebook ads to their full potential you need to make sure that you are creating the right ad at the right time and you need to make sure as well that it is reaching out to the right audience. You can make sure your ads reach out to people who have visited your website, or people who live nearby. Your list can be more exclusive to include only those who visited you website but did not purchase. You can specify which hours of the day your ads run. You can even specify the number of times a user sees your ad on Daily basis. Furthermore, you can create a target group from your favorite customized target audience and save it so you can easily load it back into your future ads. In order to properly track the impact of your marketing campaign, you need to measure and track conversion on your website. Let us start first by defining what is conversion? Conversion is an action the user takes on your website like checkouts, sign-ups, registrations, leads, key page views or customers adding items to a cart. Conversion Measurement lets you monitor actions people take as a result of your Facebook Ad. To measure conversion on your website you need to add the Facebook pixel code on the page on which you would like to measure conversion. The pixel will track the actions people take after clicking your Facebook ad. You can measure the number of conversions your ads generate and cost per conversion to calculate your return on ad spend. To allocate your Facebook ad spend more efficiently, you need to target people who are interested in your product or service. Remarketing is a strategy that allows you to target your campaigns to people who have visited your website and shown interest in your products. People will most likely not purchase your product the first time they visit your website since they will most likely visit other competitors’ websites to compare prices. Remarketing will solve this issue, as the same users who visited your website see your ad on Facebook, they will become more impressed by your products. Remarketing also helps boosts conversions and lowers the overall cost per customer acquisition as you are only showing your ad to people who are sincerely attracted to your product. In addtion Facebook Remarketing has a lower cost per click compared to search engines. Reliable marketing that adds value to your business and include relevant and additional information about your products to what the consumers already know, will most certainly expand your market reach. In conclusion, combining the Facebook data and tools available at your disposal, you can reach the people who matter most, gain more traffic to your website and achieve your customer acquisition goals. Moreover, the measurement and tracking capabilities provided to you by Facebook will help you improve the quality of you marketing campaigns, increase you return on ad spend, and efficiently grow your business.